Home / favorite branded perfumes / fragrance lovers / luxury perfumes / Mini perfumes / miniature perfumes / online scent shot / traditional perfumes / Why Miniature Perfumes Are Better Than Traditional Ones? Why Miniature Perfumes Are Better Than Traditional Ones? The world of perfume keeps changing with the needs of fragrance lovers. From providing them with a far and wide range of options to giving them perfumes in their budget, brands are going an extra mile for the buyers. With each passing year, the buying capability of the customers is increasing at a significant level with their growing interest in the market, yet there is a large lot who is being a little skeptical about spending money on luxury perfumes. Among all this hustle and bustle, there is a new generation of perfumes that is growing up and changing the way masses use their scents – Miniature perfumes. These little bottles of joy are filled with exquisite perfumes from top brands and are easily available for the masses to use. Mini perfumes are getting popular among users. People around the world are trying to get their hands on these little bottles of wonder to get freedom of smelling amazing all day long. Here’s why you should get your hands on these revolutionary perfumes. Mini perfumes are so easy to carry due to their small size. You can keep them in your pocket, handbag, in your clutch bag and so on. For someone who is always on the go, this is a great way to carry their scent with you. With these perfumes, you will not have to worry about body odor whenever stepping out for a long day or when you have to go for meetings or parties after office. Your world of perfume will always be with you. Since these perfumes are small and affordable, you can buy many of them. At the price of one perfume, you can get up 5-10 mini perfumes. Each shot has about 5 ml of perfume so it lasts quite long too. This way, you can wear a new perfume every single day as well as change with mood and occasion. Mini perfumes are so convenient and budget-friendly as compared to the large bottle of perfumes. These are usually 5-10 ml in size and there is a lack of designer packaging which reduces the cost of the perfume significantly. You can get them in your budget even if you have a low one. With mini perfumes, you have all the freedom of trying luxury perfumes without thinking much about the budget. The cost of the perfumes is quite low being less in quantity and lack of packaging. 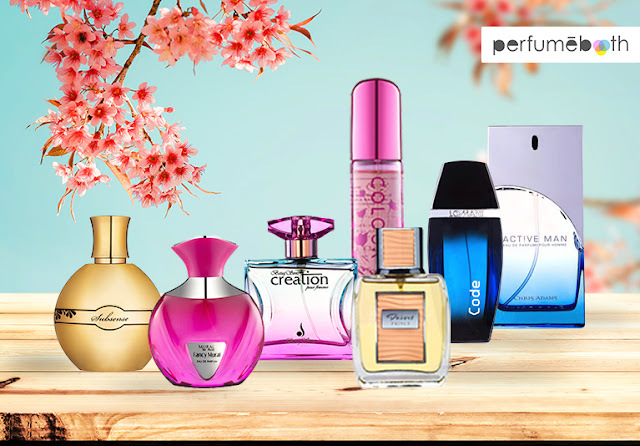 you can try all your favorite branded perfumes with them. Also, it is quite helpful for the masses who wish to try perfume before buying it. What makes them better than traditional ones? Traditional perfumes are available in large bottles. These bottles are not only bulky but very expensive. The thought of breaking a bottle while traveling can break anyone’s heart. They are so heavy that you cannot carry them around in your handbag or clutch bag in case you are planning to stay out all day and need to freshen up. Moreover, for people who love to travel, often airlines have restrictions against the perfume bottles in large quantity. Apart from all this, with traditional perfumes, you do not have many choices. With a limited budget, you can either buy one or two perfumes or increase the budget for the perfumes. In order to pursue buyers, several luxury perfume brands are venturing into the world of mini scents. One of such popular mini perfume brand is Scent Shot, providing 7 international perfumes in one pack. The brand offers 3 variants for men and 3 for women, giving everyone something to match their personality. The total quantity of this pack is 35 ml so it is quite enough to last for the entire month. Also, the brand provides vouchers worth Rs. 801 free with the pack which you can use to get a discount on the full-size perfume bottle. This is such an amazing concept for the perfume lovers who wish to try the scent at the comfort of their homes before investing money on it. Praween is a publisher of this article on behalf of Perfume both Company. He is a professional digital marketer, blogger, and influencer. He is sharing informative information with high-quality content to enhance reader knowledge and experience.